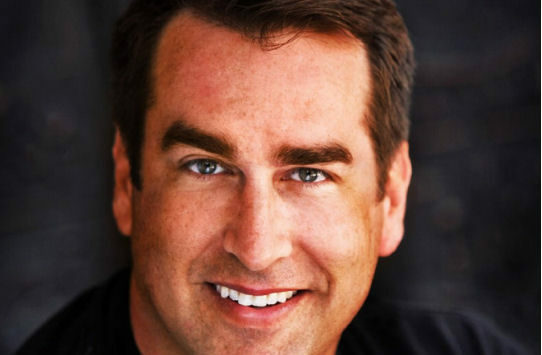 Actor, comedian, writer, producer, director and retired Marine Corps Lieutenant Colonel Rob Riggle was in Salina Tuesday. Riggle was the featured speaker at the Salina Area Chamber of Commerce Annual Banquet and Meeting. 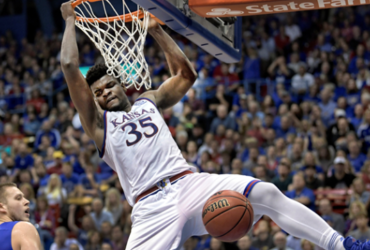 As a University of Kansas Alum, Riggle has a close connection to the Sunflower State. While at KU Riggle attained his pilot’s license, and in 1992, graduated with a B.A. in Theater and Film. He later joined the Marines and then eventually went on to become a regular on Saturday Night Live and has only grown in popularity since. Riggle is known for his roles in movies & TV shows like 21 Jump Street, The Hangover, Modern Family, and Dumb and Dumber Too among others. The avid Kansas City Chiefs and Royals fan also has a weekly segment on FOX’s NFL coverage. Prior to his speaking engagement Riggle met with the media. The evening consisted of remarks by outgoing Chamber Chairman Mark Ritter and incoming Chairman Joyce Volk, a brief review of the Chamber’s accomplishments in 2018, and the address by Riggle.